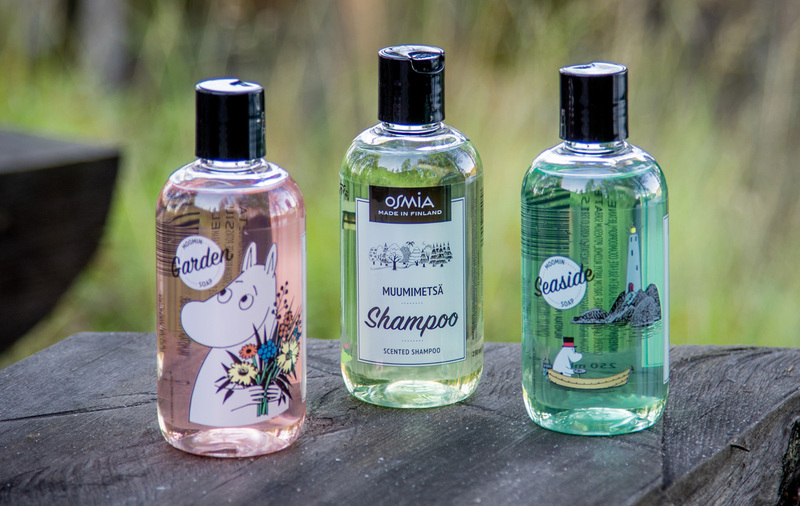 Finnish-Swedish artist Tove Jansson's Moomins are among Finland's most recognized and beloved characters. 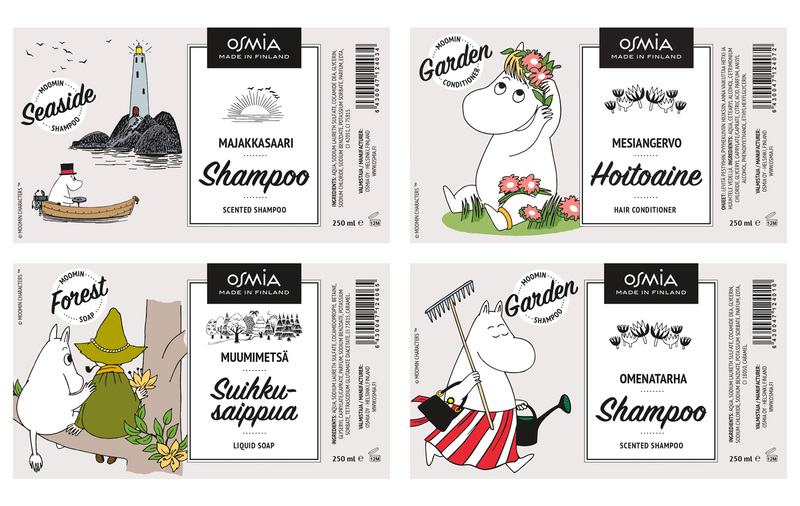 In these labels created for Osmia, Moomin characters are in their natural environment in the garden, forest and seaside. 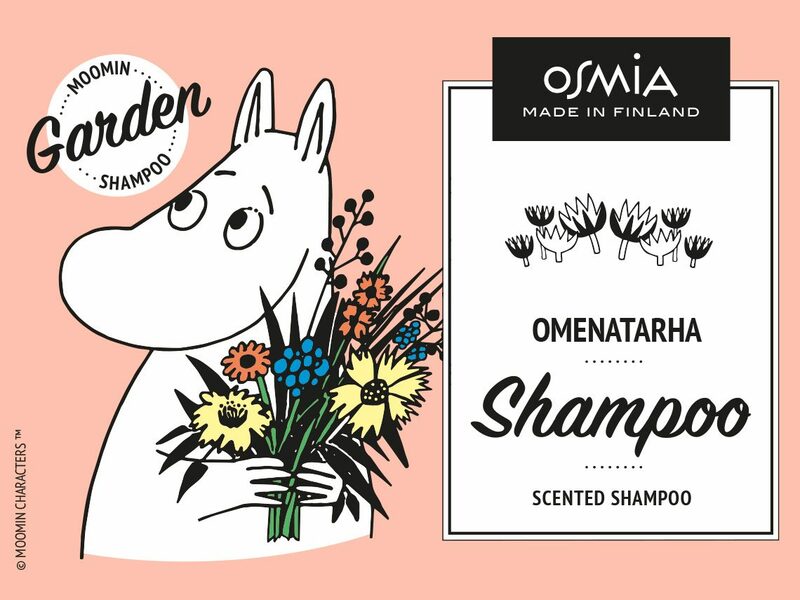 Unlike with many other Moomin branded products that are often designed for a younger audience, the goal was to maintain a more mature take on the design by keeping the label background transparent, and giving the artwork plenty of room.